Exercise! How does this word make you feel? Energetic or apathetic? For many of us, the thought of exercising brings up comments such as…”I wish I had time”, or “I can’t, I have bad knees, hips, feet, etc.” or “I really don’t enjoy it” or my favorite “I don’t like to sweat.” What would happen if we changed our perception about exercise and thought about exercise as a 30 minute detoxification experience? At Hitting Cancer Below the Belt (HCB2) we bring up the subject of detoxification in our presentations because it’s a critical piece in achieving health and remaining well. The lymphatic system is an important system involved in the bodily detoxification process. The lymphatic system is a circulatory system in the body which transports bacteria accumulated in the space between cells and collects waste and cellular debris from tissues. Nodes in the neck, groin, and armpit help to collect the lymph which is fluid made up from plasma, proteins, foreign particles, and bacteria. Why discuss the lymphatic system when we originally made a statement about exercise? Well, the lymphatic system is dependent on muscle contraction and manual manipulation for the system to move! That’s right, moving/exercising stimulates the lymphatic system. If you don’t move, you may very well be marinating in your own cesspool of toxins….not good if we want to be well and stay well. So, let’s think of exercise as a 30 minute detoxification session. Let’s sweat knowing that you are helping your body to remove harmful invaders and substances that can create inflammation and harm cellular structure. Finding ways to move each day for 30 minutes or more gives a large boost to our bodily detoxification system. The body spends more energy in trying to detoxify the body then anything else. It’s a 24/7 job, and we can either help by moving or hinder by remaining sedentary. 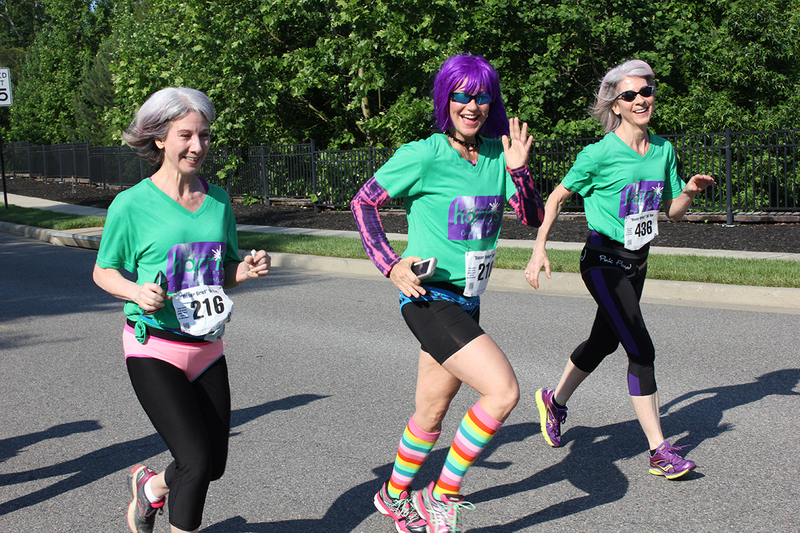 If you feel inspired, join us at the 2018 Boxer Brief 5K, Saturday, June 9th at Stony Point Fashion Park. The 5K walk/run begins at 8:00am. It’s an entertaining morning of music, costumes, speakers, prizes, and a kids’ .5 mile run! The “Caped Colon Crusader” .5 mile run for children under the age of eight is a free activity that begins at 7:45am. Children are encouraged to dress up in their favorite capes or create a cape for their activity.